Unfortunately, unseasonably fast ground has led to a dearth of runners up and down the country on Monday, but Musselburgh has fared best, numerically. 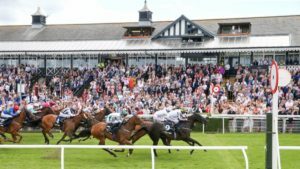 In the opening Border Safeguard and Security Experts Handicap Hurdle (12.45) at the East Lothian course, it’s interesting that Vale of Glamorgan trainer Tim Vaughan sends both Eric The Third and Fields Of Glory on the 400-mile trek north to contest a race worth just over £3,500 to the winner. The hat-trick-seeking Eric The Third appears the more obvious winner, especially with Charlie Price – former Arabian Racehorse Champion Novice Jockey – taking off 10lb on his return to the smaller obstacles. Indeed, the Mountain High gelding hasn’t run over hurdles since winning a similar race at Uttoxeter, off a 22lb lower mark, in July. He has, of course, won three of his five starts over fences in the interim and, while he must translate his apparent improvement back to this sphere if he’s to win off his revised hurdles mark of 102, he’s still favourably treated when compared with his chase mark of 115. He steps up to 3 miles for the first time, but goes well on top of the ground and must have a decent chance of winning his sixth race of 2018. Vaughan, who has a steady, if unspectacular, 10-60 (17%) strike rate at Musselburgh over the years, also saddles Fields Of Glory, ridden by Alan Johns. His case is less compelling, having finished tailed off on his reappearance at Newton Abbott, by he’s by no means impossibly handicapped on his best hurdling form and, trying a new trip in a first-time visor, might just be worth a small, each-way saver. We had no shortage of heroes in World War I, but the extent to which horses were unsung heroes during this time too, cannot be underestimated. 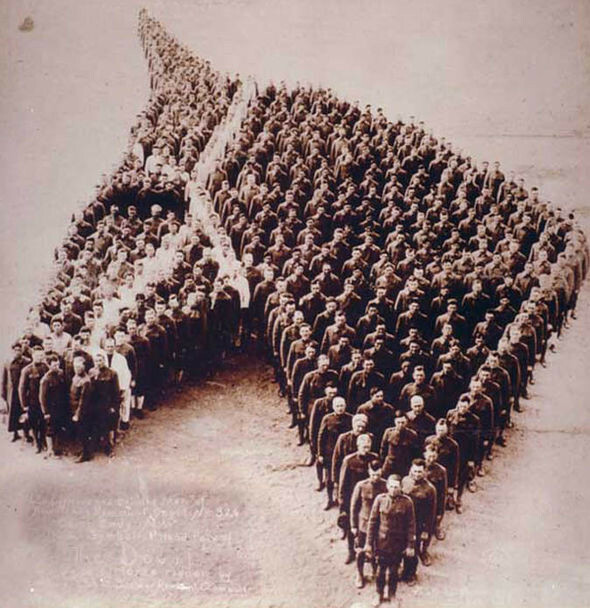 An estimated 8 million horses were killed during World War I. They have been vital to supply lines, delivering medical supplies, ammunition, food and water. The above photo is a touching tribute by 650 soliders (taken by officers of the Auxiliary Remount Dept No.326 in Camp Cody, New Mexico, 1915.) to horses that died during the war. Many soliders at the time drew close bonds with horses much in teh same war they did with dogs that were also part ofthe war effort. These aspects of the conflcit appear to be all but forgotten due to the passage of time.